When a normal bassinet just won’t do we have an option that will fit the fancy of hipster parents everywhere. &me is a super stylish Netherlands brand of designer children’s products, handmade by sisters, Jacqueline and Monique Horstmann. 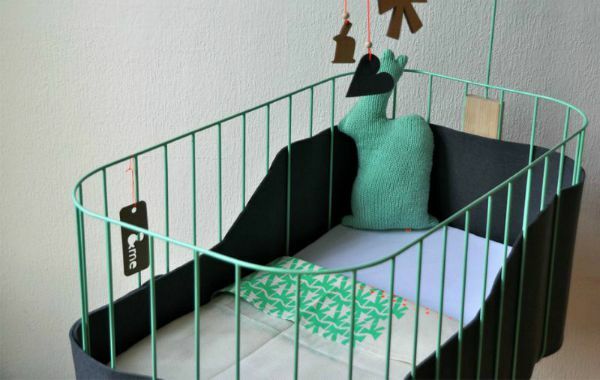 Their bassinet-sized crib is a signature piece of their collection and we love the personality and retro vibe that it oozes. 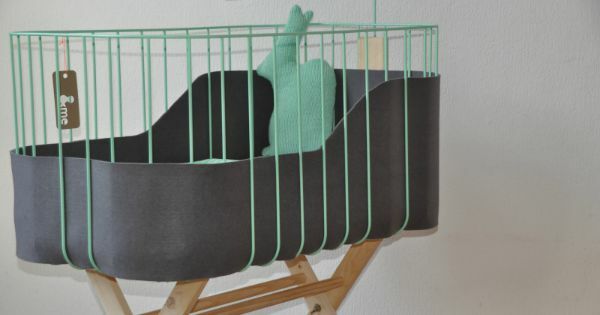 The coated steel frame and wooden legs give this &me crib a vintage feel while maintaining modern safety standards. It is higher off the ground than many other bassinets on the market so it isn’t as taxing on the back when you are patting your newborn to sleep for hours at a time. Available in mint green, off-white or charcoal grey, this retro crib fits modern mattresses and normal bedsheets. I love the thin metal profile that keeps baby visible from every direction, but you can add a custom felt side protection for a cosier feel that also prevents wiggly arms and legs from getting caught. Another feature I love is the baby mobile holder. 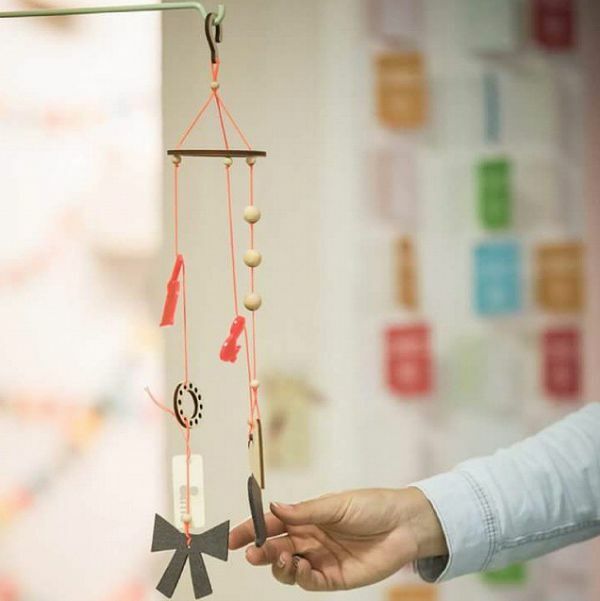 It is perfect for the &me baby mobile that’s visually enticing with its contrasting colours, textures and shapes. Or use the mobile holder to block the light during daytime naps with your favourite blanket or swaddle. The &me crib comes with a fitted mattress with rounded corners (45 x 80 cm), the 100 per cent felt protection board for the sides of the bed and the baby mobile holder. Purchase this original looking crib from online store, &me. It retails for €535 plus shipping and they do ship worldwide.